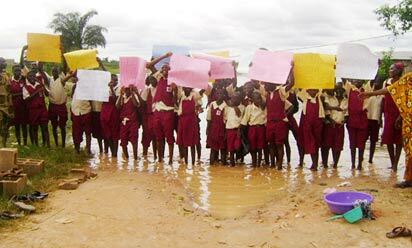 The Federal Government, yesterday, blasted state governors for refusing to access the N41 billion counterpart fund for the implementation of Universal Basic Education, UBE, in their states. Supervising Minister of Education, Barr. Nyesom Wike, who expressed government’s disappointment at the 11th Quarterly Meeting of UBEC Management with Executive Chairmen of State Universal Basic Education Boards, SUBEBs, in Osogbo, Osun State, said it was sad that the money was yet to be accessed by states, lamenting that the situation was unhealthy for development of basic education in the country. The minister, in a statement by the Principal Public Relations Officer of UBEC, Mr. David Apeh, weekend, said he was particularly worried that a lot of improvement could be done in existing schools and new schools established across the country with such huge funds not accessed by states. ”Nothing can justify the situation where billions of naira meant to expand access and improve the quality of basic education delivery are deliberately left un-accessed and, therefore, un-utilised, while the problems facing effective basic education delivery continue to stare at us as a nation,” Wike lamented. Wike, who was represented by the Executive Secretary of UBEC, Dr. Dikko Suleiman, explained that both conditional Matching Grant as well as the non-conditional special education fund from UBEC had been neglected by states and the Federal Capital Territory, FCT. He, however, noted that basic education in Nigeria would soon begin to experience a new era of transformation and pragmatic achievement, following the appointment of Dr. Suleiman as the new executive secretary of the commission. Suleiman, appointed recently by President Goodluck Jonathan as the substantive Executive Secretary of the commission, is a seasoned educationist and a former Executive Chairman of Katsina State Universal Basic Education Board, SUBEB. Executive Secretary UBEC, in his remark, presented by the Deputy Executive Secretary (Services) Professor Rashid Aderinoye, said the meeting was crucial and presented another opportunity for members as leading stakeholders in basic education to exchange ideas and emulate good practices in the state.